A theme is the fundamental structure of a WordPress website. You can choose a suitable theme according to your business from thousands of free or paid themes to create your stunning website. Each theme is WordPress standard compliance, and that makes WordPress theme customization relatively easy. 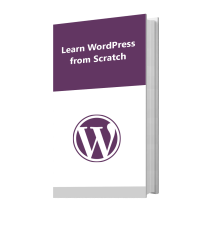 WordPress is a user-friendly platform and you can effortlessly create WordPress website with it. Indeed, it has come a long way after its inception and has become one of the most reliable solutions for website creation. Also, there are various customization options which make website evolution more interesting. 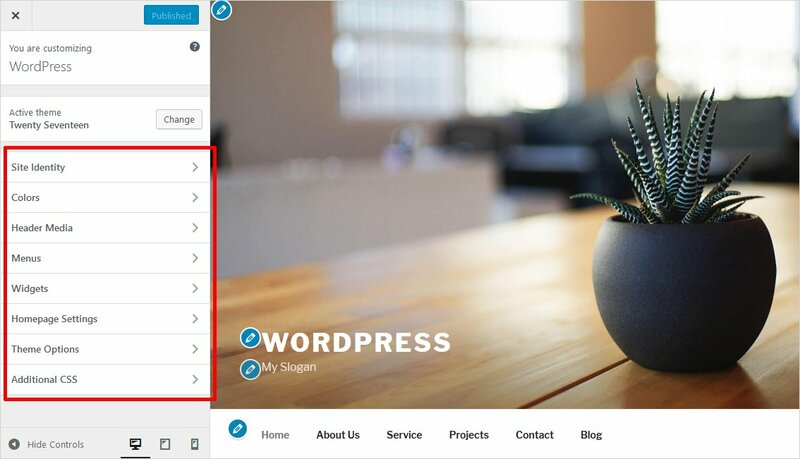 Having said that, here at TemplateToaster WordPress website builder, I will show the ways to customize a WordPress theme. How to Customize WordPress Theme? First & foremost choose the best WordPress theme for your website. Be double sure that whichever theme you are selecting should have all the functionalities to serve your purpose. For example, if you wish to include slideshow to your website then it should have an integrated functionality for the same. Whereas, if you don’t find an exact match then you can pick any appropriate option and then customize it further as per your needs. Here I would like to mention 10 Things to Keep In Mind before Choosing a WordPress Theme. If you like the design of a particular WordPress website you can easily check What WordPress Theme is That. It’ll also be very beneficial if you have a bit of knowledge of WordPress Theme Frameworks. 5 ways to WordPress Theme customization. And I’ll show you the most effective ones. 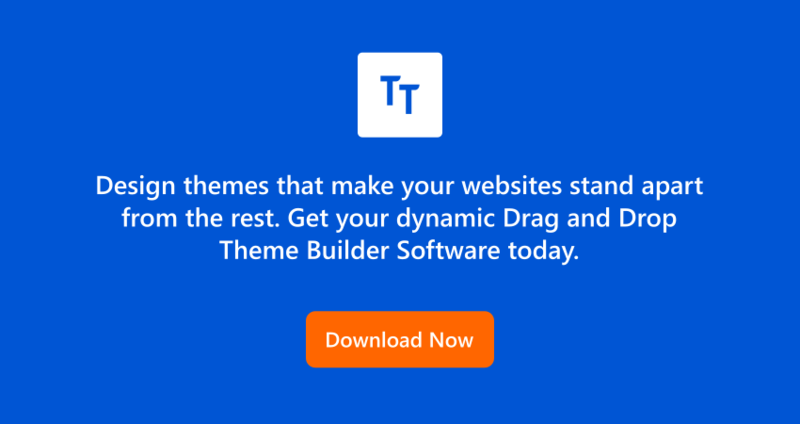 The built-in customizer makes it easy to customize any WordPress theme. If you’re already aware of this tool, it’s good for you and if not then you first need to understand this tool thoroughly. First, go to Admin of your WordPress dashboard and then go to the Appearance and then Theme and finally Customize. Simply click on the respective tab and customize them. For instance click on the Site Identity, Colors, Header Media, Menus, Widgets, Homepage Settings, and Additional CSS and customize the theme as per your choice. In addition to WordPress Theme Customization plugins, WordPress has plugins for everything such as WordPress security plugins, CRO WordPress plugins, WordPress shortcode plugins, etc. Appearance → Edit CSS. That’s all. You can also customize your CSS with the help of various plugins available in the market. However, if you have the knowledge about the CSS styling and customization then you can do it yourself. If it’s about minor changes like color changes or any other font changes etc. then you can do it with custom CSS. Moreover, modern WordPress versions also guide you with the CSS syntax while you make changes in your CSS file from your WordPress admin. Adding your own custom CSS file is another way for heavily overriding the default style of your theme. I assume that you know what a child theme is and how does it work for your theme. But for a quick grasp over child theme, here is a little background about it. A child theme is a theme which inherits the properties of a parent theme along with its own properties. Child Theme is very helpful if you wish to beautify your website without making changes to your main theme. The highly secure and recommended way to modify your theme is by creating a child theme. The mechanism of a child theme is to customize the functionality of the parent theme without affecting it directly. The parent theme will remain as it is and all the changes will be made to the child theme only. So these were a few ways to modify a theme and you can choose any whichever you find easier to customize your theme. 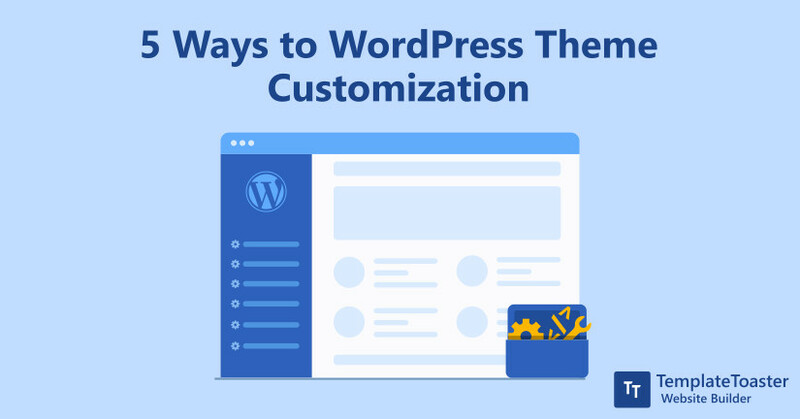 And customizing a WordPress theme is not tough and now that you know the easy ways of customization. I hope this little effort of mine could help you. And if you think I have missed something to mention, please do let me know in the comments below. I would love to hear from you.